Foundation of late Colts LB Edwin Jackson to award scholarships one year after his death On the day of the 2018 Super Bowl, then-Colts LB Edwin Jackson&apos;s life was tragically taken by a drunk driver. So it would be more than understandable if his family spent this Super Bowl weekend grieving. Instead, the Edwin Jackson 53 Foundation will award scholarships – 53 of them to be exact, Jackson&apos;s jersey number – to students who showcase dedication to community service. 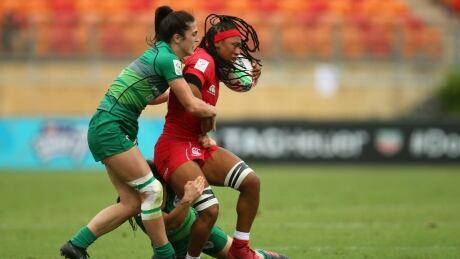 It marked Ireland's second-ever win over Canada, which had won 11 of 13 matches previously this season on the HSBC Women's World Rugby Sevens Series. Series leader New Zealand was the only other team to beat Canada. A courtroom quest by two New Orleans Saints ticketholders for a full or partial do-over of this year&apos;s NFC championship game because of a blown &apos;&apos;no-call&apos;&apos; by game officials was rejected Thursday by a federal judge. NFL officials have acknowledged that flags should have been thrown when a Rams defensive back leveled a Saints receiver with a helmet-to-helmet hit at a crucial point in the final minutes of regulation time. The Rams won the Jan. 20 conference championship in overtime and are set to play the New England Patriots in Sunday&apos;s Super Bowl in Atlanta. Safety Rodney McLeod has agreed to a restructured contract with the Philadelphia Eagles that will presumably keep him with the team for at least the 2019 season. 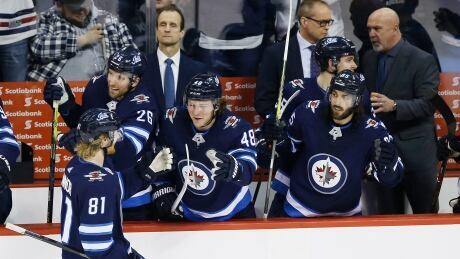 “It&apos;s a very exciting time,” McLeod said. McLeod had two years remaining on the five-year contract he signed in March, 2016. Just three days before the Super Bowl, the U.S. judicial system has ruled that the NFL will not be forced to replay a portion of the NFC Championship Game, which likely would have meant delaying the Super Bowl. U.S. District Judge Susie Morgan issued a ruling out of New Orleans on Thursday that rejected the argument of two Saints season-ticket holders, who filed suit against both the NFL and commissioner Roger Goodell. At issue was a late no-call on what appeared to be pass interference by the Rams that, if penalized, likely would have set up a scenario where the Saints could have kicked a game-winning field goal just before running out the clock. 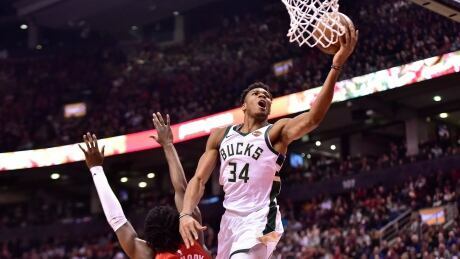 Giannis Antetokounmpo scored 19 points to lift the Milwaukee Bucks 105-92 over the Toronto Raptors in a battle for first place in the Eastern Conference on Thursday. Super Bowl Viewing Guide: 15 bars in Washington, D.C.
Super Bowl Viewing Guide: 15 bars in Washington, D.C. originally appeared on nbcsportswashington.com On Sunday, Feb. 3, the New England Patriots will play the Los Angeles Rams at 6:30 p.m. in Atlanta, Georgia. Whether you waited until the last minute to buy your (now $400) flight to Atlanta or have been planning a local night out with friends since the fall, check out this list of 15 bars in D.C. for gameday. Posted in New England Patriots | Comments Off on Super Bowl Viewing Guide: 15 bars in Washington, D.C.
You are currently browsing the Sportspool.com Sports News blog archives for January, 2019.